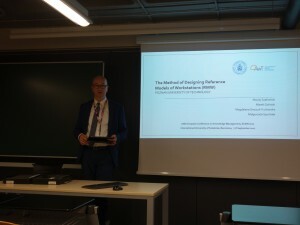 September 7-8 2017, the 18th European Conference on Knowledge Management – ECKM has took place in Barcelona. Ph.D.Eng. Maciej Szafrański, Ph.D. Eng. Marek Goliński, Ph.D. Eng. 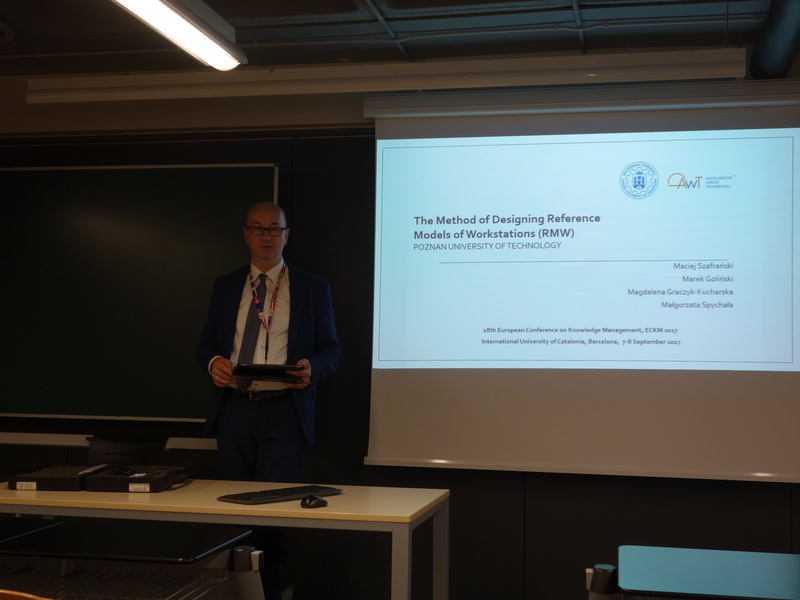 Magdalena Graczyk-Kucharska, a researchers at the Faculty of Management Engineering at the Poznan University of Technology, presented an article titled “The Method of Designing Reference Models of Workstations”, co-created with Ph.D. Eng. Małgorzata Spychała.The conference is generally attended by participants from more than 40 countries and attracts an interesting combination of academic scholars, practitioners and individuals who are engaged in various aspects of Knowledge Management. The presentation emphasizes the importance of research carried out in the Wielkopolska Region within the Wielkopolska Educational and Economic Network in cooperation with enterprises, the Local Government of Wielkopolska Provience and the schools participating in the project “Time for Professionals BIS – Professional Wielkopolska”. The article was one of the 160 accepted for the conference with 300 submissions, which was an unquestionable honor for the scientists of the Poznan University of Technology. After the presentation of the issue, the auditorium addressed a number of interesting questions, which provoked the gathered scientists to an interesting discussion. The whole was a great testimony to the fact that the work carried out under the Accelerator of Technical Knowledge (AWT®) is important and current not only in the local but also European environment.